Jet Airways codeshare- way forward? His Highness Sheikh Maktoum bin Mohammed bin Rashid Al Maktoum, Deputy Ruler of Dubai, inaugurated Arabian Travel Market (ATM) 2018, marking the start of the 25th edition of the show. This year’s show, which is taking place at Dubai World Trade Centre from April 22-25, 2018, has more than 400 stand holders. India’s presence at the show includes state tourism boards, hotels, tour operators and technology providers. 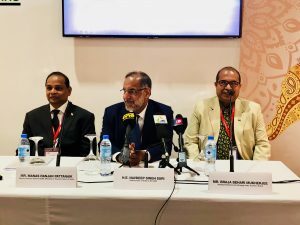 Showcasing India’s diverse tourism offerings and the growing inbound numbers from the UAE, Navdeep Suri, Ambassador of India to the UAE, highlighted that there are currently 1065 flights a week between both nations connecting 17 Indian cities to the UAE. 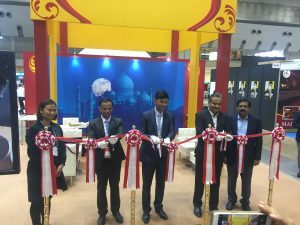 Suri was accompanied by Manas Pattanaik, Deputy Director General, Ministry of Tourism and Braja Mukherjee, Assistant Director (in-charge), Indiatourism, Dubai, while promoting the country at the show. 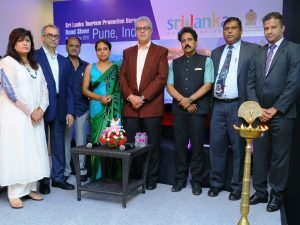 ATM 2018 has adopted Responsible Tourism – including sustainable travel trends – as its main theme and this will be integrated across all show activities.